In this warp, I am experimenting with colour blending to echo the reflection in my images. I am also experimenting with an all over stitching warp to make the fabric more dense so it is suitable for upholstery. Aswell as this I am playing around with structure to figure out the texture of the fabric. 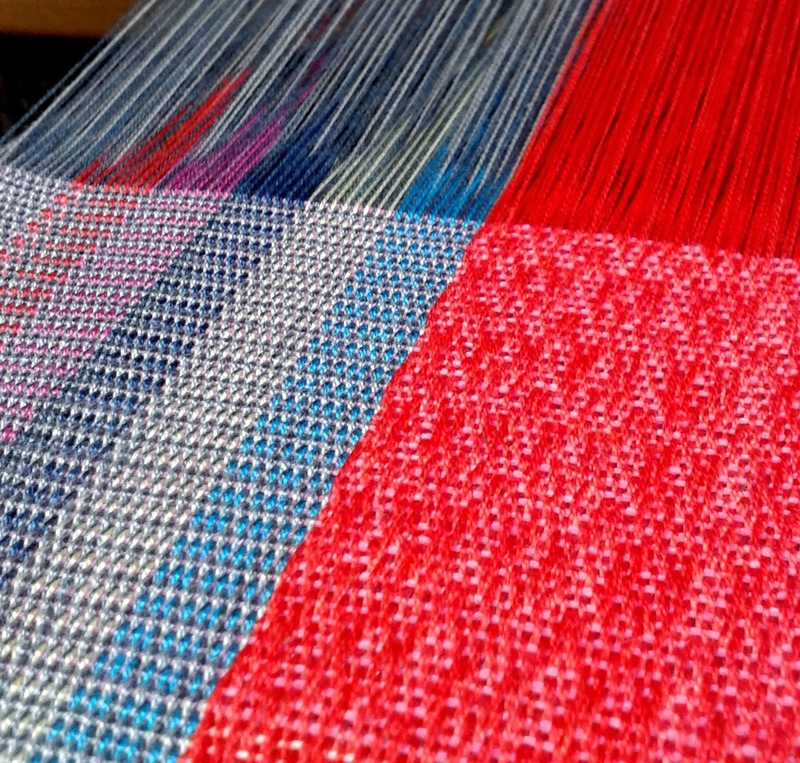 After 5 days of painful threading, I have finally started to weave these samples. At the moment, I am liking the colour blending of the reflection area and the strip of texture but the rest of the warp seems a bit too plain. However, what worked about the collages I created was the contrast between the pattern and the block colour. I think I have achieved this contrast in this warp but maybe I could possibly space out the texture and pattern instead of having it all in one place?